Nine years ago, when DAP and our coalition partners came to power, we promised “Change” to the people of Penang. When we say “Change”, we mean change in all aspects because we were not going to be doing business as usual, no. But at the time we became government in 2008, our opponents said that we have no experience. We responded by saying, yes we have no experience in governance but unlike them, we also have no experience in corruption. Today, nine years on, I can proudly admit to you that DAP Penang still does not have experience in corruption. The difference is, now our opponents cannot accuse us of being inexperience in governance anymore. We have proven that Penang in the last nine years is far better than when Barisan Nasional was in charge. Do you agree? “Change” is really a simple formula to begin with, nothing fancy, nothing grand. We introduced Competency, Accountability and Transparency or CAT. Because we know, the problem with our country is deeply rooted in the problem with our government. Today looking back, almost nine years now, the people of Penang can see for themselves how far we have all come. Penang is no longer the backwater state in the period of the 90s when we can only glory in our past as the first industrialised state in Malaysia. Today we once again top national charts as the destination of choice for investors both domestic and foreign. From 2008 to 2015 we received RM55 billion in investment, 90% increase compared to the last eight years under the old government. Penang is no longer the garbage state or as former Prime Minister Tun Dr. Mahathir called it when he visited this place 20 years ago: Pulau Pinang Darul Sampah. Today we are once again the Pearl of the Orient; and I was told that overseas Malaysians and Penangites frequently beamed with pride when our state is mentioned with high approvals in news and reports in foreign countries. Penang is no longer part of the bastion of corruption in a global kleptocracy. Today we are praised by the Auditor-General and international reports, friends and foes alike, for running not only a clean state but also a clean government. Our opponents may throw all sorts of false accusation against us, but black and white records speak for itself: we are committed to good governance and to fight corruption. And finally, Penang is no longer a cold heartless city where the rich get richer and the poor are left behind. Today the state government ensures that every Penangites, no matter the race, gender, age and social class, will be given the best opportunity possible to take part in and benefit from building Penang as an international city of the future. We are the only state in Malaysia to implement an income guarantee – every household in Penang is guaranteed a minimum household income above the poverty line at RM790. If a household has an income lower than RM790 a month, the state government will top up to make the number. Yes together, we have achieved a great deal in the past nine years. But this is not the time to sit back and relax as if our work is already done. No. This is the reason why: At least six countries around the world are investigating Malaysia’s kleptocracy. USA is hunting for MO1. The cost of living is sky high, Malaysians are burdened with GST, our Ringgit has fallen in value causing us to have weaker buying power. Last week, when we were trying to forget the economic pain around us for a while to celebrate Chinese New Year, we are faced with yet another increase in petrol price. The rallying call to Save Malaysia can heard from every corner of the country from Perlis to Sabah. Even UMNO members are joining in because they are unable to stand the effect of being led by a government of thieves. Penang stands out as a hope and inspiration for Malaysians everywhere. The people of Penang dared to Change and look how far we have come. Of course, the kleptocrats will not sit back and relax. 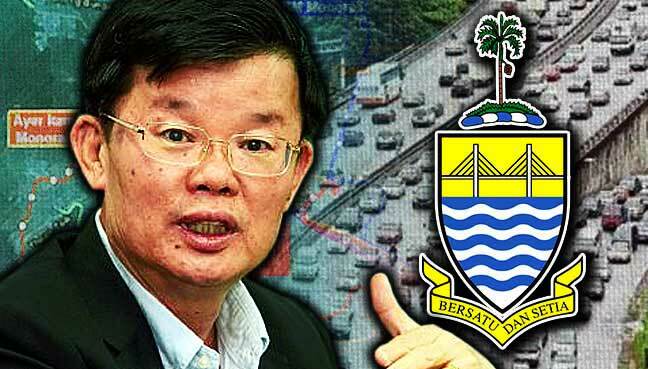 They want to grab back Penang. Just a few days ago, a federal Minister said that he plans to annex Penang to become a Federal Territory. We all know what that means. There will be no more election, we will not be able to choose our own state government and we will be governed by bureaucrats 300 kilometres away in Putrajaya. They will continue to take our taxes but we will have no say in terms of governance. You have stood together with us since 2008. We need to stand together this coming election to ensure that we keep Penang safe as a hope for Malaysia. This may be one of the most difficult battles we will face in our lifetime. In these nine years, DAP has proven that we are a government that delivers. I am proud to say that DAP stands for, Delivered As Promised. When we say we want to clean up Penang, we delivered to you a cleaner, greener, healthier, safer Penang. Go to Gurney Drive any hour of the day, and you will notice how clean it is compared to the last time. Go to the inner city of George Town, ten years ago, it was already a ghost town, but today life has returned to the area. It is so vibrant that sometimes Penangites try to avoid going there because of the congestion. Go to the Batu Ferringhi beaches, go to Batu Maung, go to Balik Pulau, go to Seberang Perai, go to Batu Kawan. Go to KOMTAR. You will see that these places are restored and revived after being left out for many many years by the old government. When we say we want to improve education, we delivered annual allocation to Chinese schools, Tamil schools, Islamic schools and missionary schools in Penang. We delivered the fund in the first month of the year itself, unlike the federal government where money for 2014 is only received in 2017 and money for 2016 has gone missing till now. When we say we want to build human capital, we delivered to young Penangites, the Penang Future Foundation Scholarship, a prestigious scholarship programme to fund and attract talents to Penang. Some even call it the Penang version of the Singapore ASEAN scholarship. We built KOMTAR Tech Dome for our children, the most exciting science centre in northern Malaysia. We gave them the Penang Science Cafe, a hub to encourage the learning of computer and robotic science among young Penangites. When we say we want to fight corruption and improve our financial situation, we delivered to you continuous nine years of budget surpluses. We delivered to you a 100% increase in state reserve from RM850 million for all the 50 years under BN to RM1.6 billion in the last nine years. And we delivered to you and all our future generation a debt reduction of 90% by the end of 2015. When we say we want to resolve flood problems in Penang, we delivered despite the lack of federal help. We recognised that new situations and climate changes require new solution for flood. We do not run away from responsibility. This year, the Penang state government, under my portfolio will allocate RM220 million to deal with flood problems all over Penang. When we say we want to make housing affordable for Penangites, we delivered 20,000 units of affordable housing since 2008. We will continue to ensure property price remained affordable for Penangites. Recently, the state government delivered the happy news to 370 buyers of the Majestic Heights project in Paya Terubong, abandoned the last 22 years since 1998, but now revived under a joint initiative by the state and the private sector. The aspiration of Penangites to have a place to call home is foremost in DAP’s agenda. When we say we want to make Penang into an international city of the future, we delivered to you the Penang Transport Master Plan. This is a plan until 2030 to improve the transportation system in Penang, not only on the Island but also for Seberang Perai. We present to you a new coastline for Penang, with beautiful public parks along Gurney Drive and the Light equal to that of Fisherman’s Wharf in San Francisco, Sydney Harbour in Australia and Marina Bays in Singapore. We envisioned an efficiently connected Penang with good public transport system, cycling and pedestrian facilities, and world class public parks. You see, we are not only committed to Penang today but also to Penang in the future for our children. It is for this commitment to Penang and to the future of Penang, and in the light of the coming general election, I am proud to announce to you that DAP Penang has chosen “Delivering Penang’s Future” as our theme. Penangites, we first made a promise to each other in 2008, and then once again in 2013: now this year, “Delivering Penang’s Future” is the renewal of our promise to you, to stay with you no matter what the circumstances, to serve you and to protect our future against kleptocrats. This is also our commitment to you to see through the best of Penang being realised in the next five years for the sake of our children. And finally, “Delivering Penang’s Future” is our joint mission with you to make Penang better, greater and stronger.